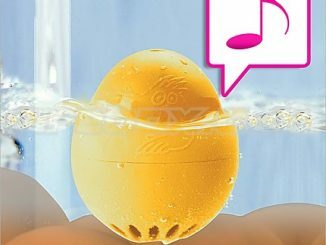 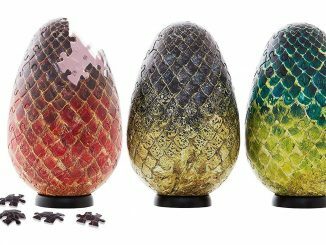 This Game Of Thrones Dragon Egg Mug Set is patterned after the three fossilized dragon eggs Daenerys Targaryen receives as a wedding gift from Magister Illyrio Mopatis. She thought they were the most beautiful things she had ever seen, and you have to admit, this is a striking set of coffee mugs. 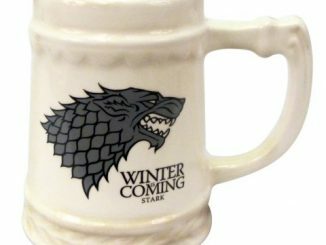 Unlike many of the cool designs for coffee mugs here on GeekAlerts, these ceramic mugs are actually listed as microwave and dishwasher safe. 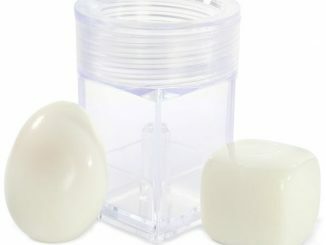 That’s really convenient, and it should mean the colors are durable and these will last a long time. 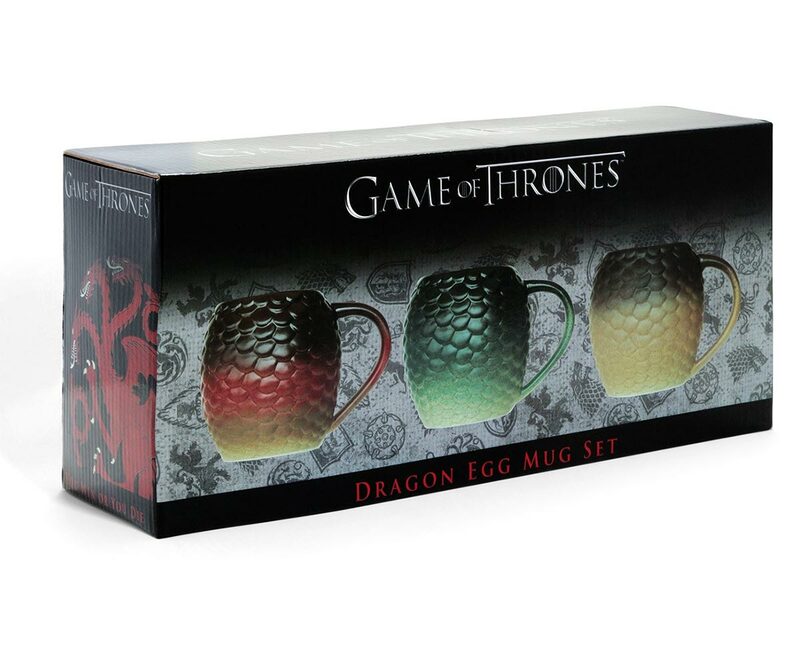 When you play the Game of Thrones you either win or you die – but you can enjoy a cup of coffee while you play. 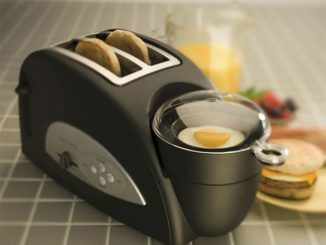 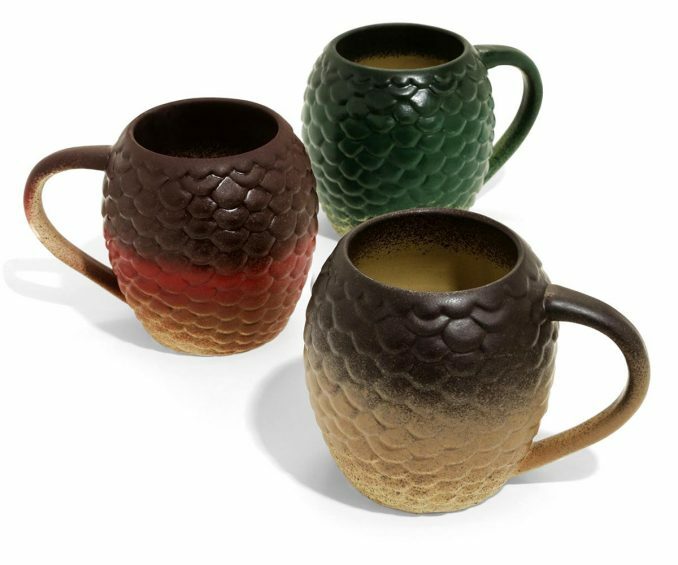 This mug set features dragon egg designs. 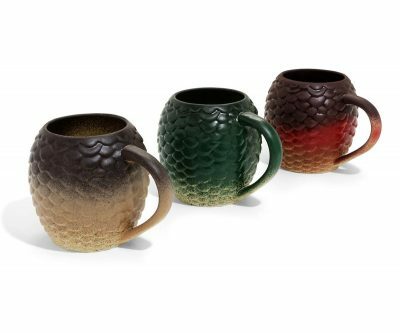 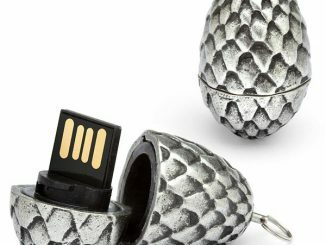 Purchase the Game Of Thrones Dragon Egg Mug Set from BoxLunch. 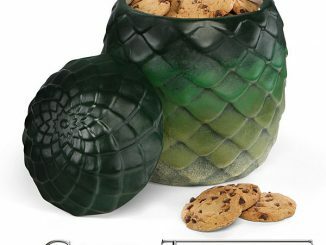 It is normally $39.90, but right now (at time of publication) is on sale for $31.92 (20% off). 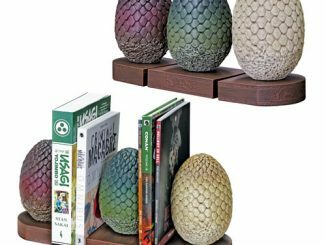 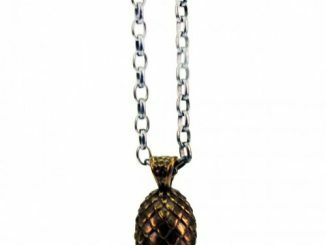 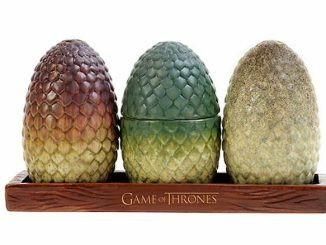 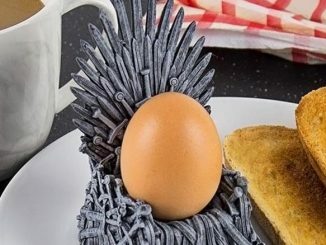 If you’re interested in dragon eggs from Game of Thrones, also check out the Salt & Pepper Shakers, Puzzle Set, Wine Stoppers, Shot Glasses, Bookends, and Plush Toys.